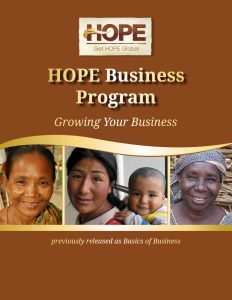 Growing Your Business is a powerful 12-month training program, which includes a 16-week formal curriculum, followed by informal bi-weekly meetings during the 34-week HOPE Loan repayment period. The first four weeks are Pre-Qualification Sessions for applying for HOPE Loans. 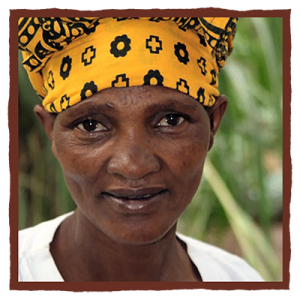 The program is uniquely designed for the impoverished woman who wants to grow her business, provide for her family, and improve her life. It is created to give each one the dignity of a chance. 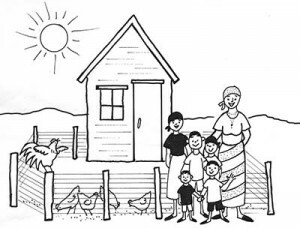 To become better acquainted with this program, refer to the program excerpts below, especially “Anna’s Story.” This appealing illustrated narrative gives students an overview of what they will be learning in the Growing Your Business training program. It is also used throughout the program to reinforce specific business concepts as they are presented. Click to view the PDF of Anna’s Story. Growing Your Business is a highly interactive learning experience that includes a variety of teaching activities. There are 16 weeks of formal sessions, each 2-3 hours long. Shorter, informal meetings follow during the loan repayment period. The entire program lasts a total of 12 months. We are pleased that you are considering Growing Your Business and want to assure you that this program works! As a program leader, you will not be liable for the repayment of loans or the success or failure of any business decisions made. However, you will be part of helping needy women build better businesses and better lives. Most importantly, you will be helping them build a strong faith in Jesus Christ, the Source of all hope and dignity and joy.